Dayton, September 27, 2018 - Dayton Dutch Lions FC’s Fall Academy teams played their first games of the new Academy season. The majority of the teams won’t start until the winter season after the High School season is over. DDL FC’s Men’s team player Emiel Wendt made some history with his club Noordwijk (fourth level) on Tuesday defeating pro side Sparta Rotterdam in the Dutch Open CUP. The United Soccer League (USL) announced Tuesday that the USL PDL will become USL League Two, the elite pre-professional tier in North American soccer and the established developmental platform for U-23 and collegiate players, fans and communities. The Dayton Dutch Lions FC and Cincinnati Dutch Lions FC Men’s team will play in this USL League Two in 2019. Houston Dutch Lions FC introduced the “HDL Technical Soccer School” last week besides their regular Academy program. The school mainly focuses on skill development and is offered in two locations: the Houston Dutch Lions FC Soccer Facility and the Woodlands Prep International School. Florida Gulf Coast Dutch Lions FC’s U7 team had their first ever game vs Cape Coral Arsenal U7. The Academy teams are preparing for the Florida Extreme CUP in Lakewood this weekend. On October 13 the club is organizing a "Bring a Friend Day" where all academy kids can bring their friends for a fun and educational soccer event. 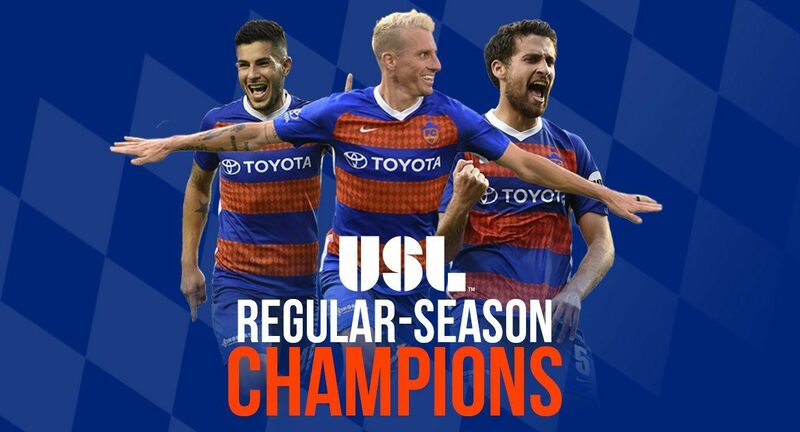 FC Cincinnati (22-3-6, 72 points) clinched the 2018 USL PRO Regular Season Championship with a 4-1 victory over Richmond Kickers on Wednesday. Emmanuel Ledesma scored his 15th and 16th goal of the season. The team is currently on a 9 game winning streak and is unbeaten for 20 games (since May 27). Great accomplishment by the whole staff and players. Congrats!